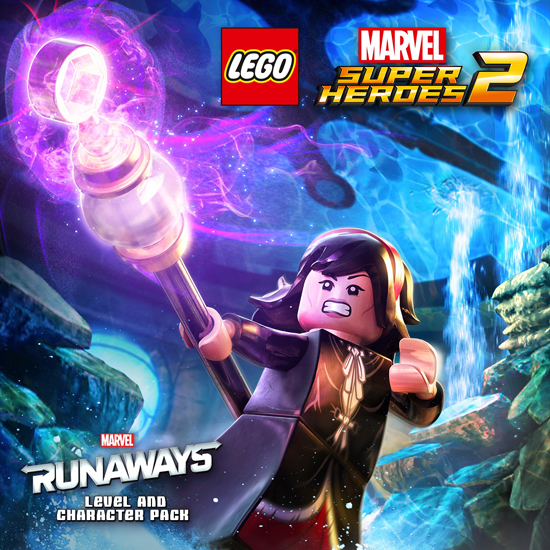 Marvel’s Runaways Character and Level Pack, the new DLC for LEGO Marvel Super Heroes 2. The pack, available at £2.49 on PlayStation 4 and Steam and at £2.39 on Xbox One, adds a level and characters inspired by Brian K Vaughan’s iconic comic series, now a critically acclaimed television show, currently available to stream on Hulu. In this all-new Runaways comic inspired level pack, players will travel to the undersea Marine Vivarium, where they’ll try to escape from the chaos and destruction that their criminal parents - ‘The Pride’ - have brought upon them. New unlockable characters Nico Minoru, Chase Stein, Alex Wilder, Karolina Dean, Molly Hayes, Old Lace, and Gertrude Yorkes add to the main game’s roster of over 200 Super Heroes and Super Villains. The Runaways level pack can be purchased separately or as part of the Season Pass which includes six Level Packs and four Character Packs, including the previously released Guardians of the Galaxy Vol.2, Black Panther and Cloak & Dagger content, and the Champions, Out of Time, and Agents of Atlas Character Packs. The Season Pass is available for £11.99 suggested retail price or as part of the LEGO Marvel Super Heroes 2 Deluxe Edition, which features the main game and access to the Classic Guardians of the Galaxy Character Pack. LEGO Marvel Super Heroes 2 is available on PlayStation 4, Xbox One, Nintendo Switch, and Windows PC.